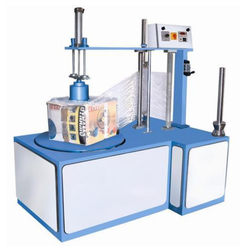 Our range of products include box stretch wrapping machine, carton wrapping machine and luggage wrapping machine. This machine can pack six sides of products by reverting products 90°.it is used in cloth industry, yarn industry or food industry. With comprehensive industry knowledge, we are involved in presenting an extensive collection of Carton Wrapping Machine. These machines are fabricated by a team of skillful professionals utilizing upgraded technologies at our vendors' sophisticated manufacturing unit. 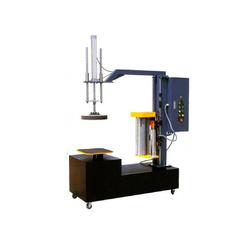 To cater the diversified demands and requirements of customers, we provide these products in various specifications and models and at cost-effective rate. 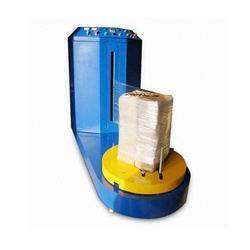 Our range of Luggage Wrapping Machine is uniquely designed for packaging luggage, cargoes and goods in airports, docks s & stations. Further, these are also suitable for fast transporting and storing. We offer these at economical prices to our valued clients. Our range is appreciated for its incomparable quality features. We ensure to deliver international quality standard products to our patrons.